Our post Easter weekend Monday was fairly low key. We didn’t do too much other than a quick visit to the Painted Ladies, followed by a visit to Golden Gate Park for a little geocaching. I hadn’t really checked the park out in advance, other than I knew that sometimes there were Food truck events that went on there. We were surprised to see museums there, and though we usually aren’t the museum going kind of people we really enjoyed the California Academy of Sciences. I think it was even more fun and educational than the Aquarium of the Bay. In addition to the multi level rain forest exhibit, the Philippine Coral reef, the ‘living’ rooftop, and the live penguin display, we saw the incredible visiting Whales exhibit from New Zealand complete with full sized male and female whale skeletons. Since it wasn’t a very nice day spending time inside was a welcome change. I do wish we had seen more of the park though, especially the Japanese Tea Garden. There was only one SF food truck to choose from so we had to try the Annakoot Paratha Folds and Chana Masala for lunch. I also really enjoyed the Mango Lassi. I’m drawing a complete blank over where we ate dinner that night, though I do know we tried to get a table at the Liholiho Yacht Club just down the street from our hotel. It was packed solidly so we gave up. I’m glad we didn’t just give up though, because we did get in the next evening for a very early dinner. I can understand why it is so popular. The small space is really modern looking, with many wood accents and a really open and busy yellow tiled kitchen. We were seated right across from the kitchen so I was entertained all evening. There was also a photographer journalist from the New York Times taking photos in the kitchen and it was a really interesting to watch as she hung out in the kitchen trying to take photos without interrupting the flow of the cooks. Chef Ravi Kapur (left) is having a rough day. The restaurant is California fresh mixed with Hawaiian flavours and before you ask, yes there is SPAM on the (secret) menu and, no we didn’t order it. 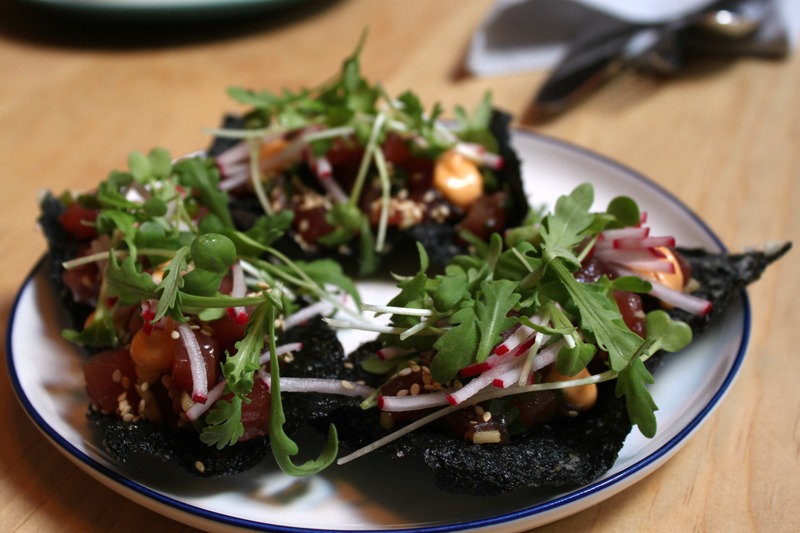 We began with Tuna (Ahi) Poke on crispy nori crackers. I could eat Tuna Poke, or any kind of Poke every day. I must have been Hawaiian in a past life because I think that tuna was meant to be eaten with sesame oil. Our next dish was hubby’s choice and he really enjoyed it. 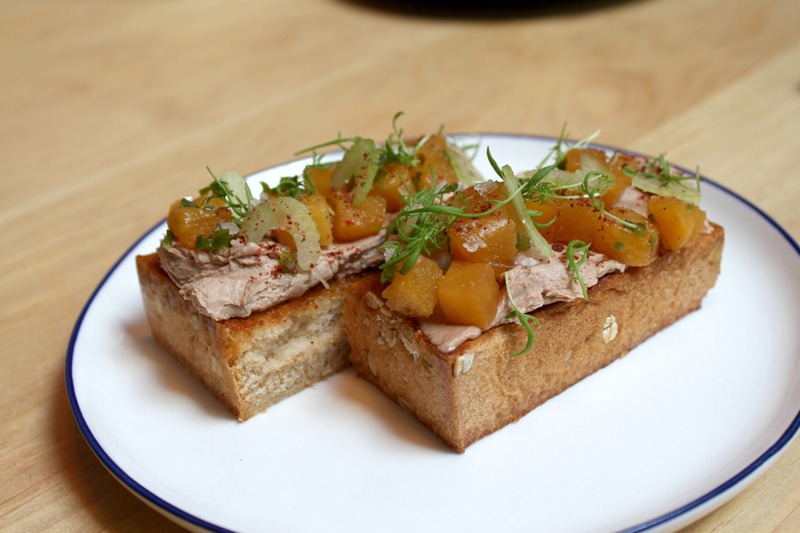 Duck liver paté on toast with pickled pineapple and jalapeno. Pickling is really popular right now and this pickled pineapple was quite delicious. 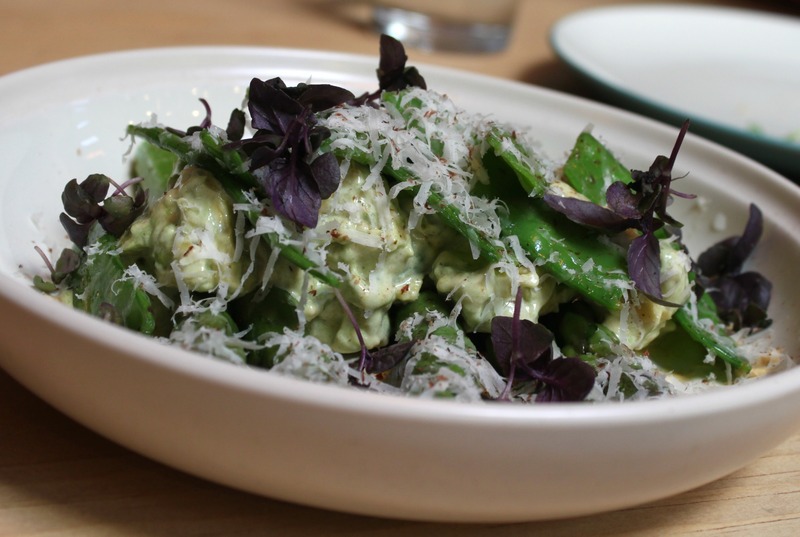 We needed some greens and this Asparagus Caesar salad, bonito flakes, sweet snap peas with Haas avocado was definitely appreciated. 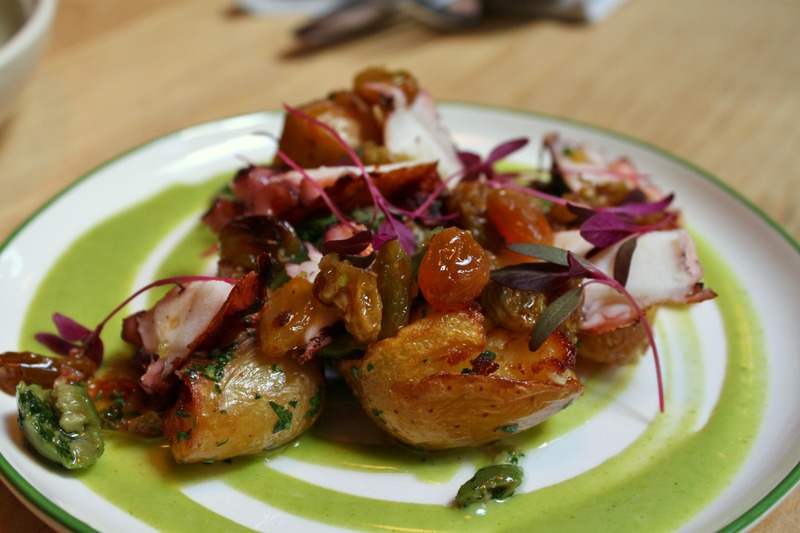 I was really happy to order the roasted octopus, Castelvetrano olives, butterball potatoes, cilantro…and utterly captivated by the curried raisins. 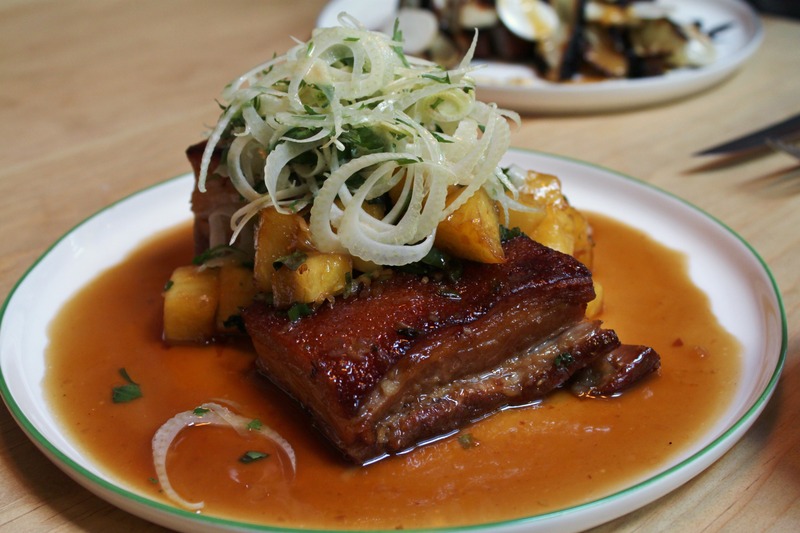 For our mains, hubby and I both shared the twice cooked pork belly, red Fresno peppers, pineapple, Thai basil, and fennel. The texture on the pork was amazing; so soft but with the fat rendered down just so that it was a bit sticky. 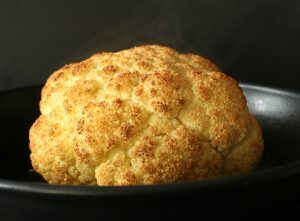 Oh, this dish was so good…I’m salivating right now writing about it. 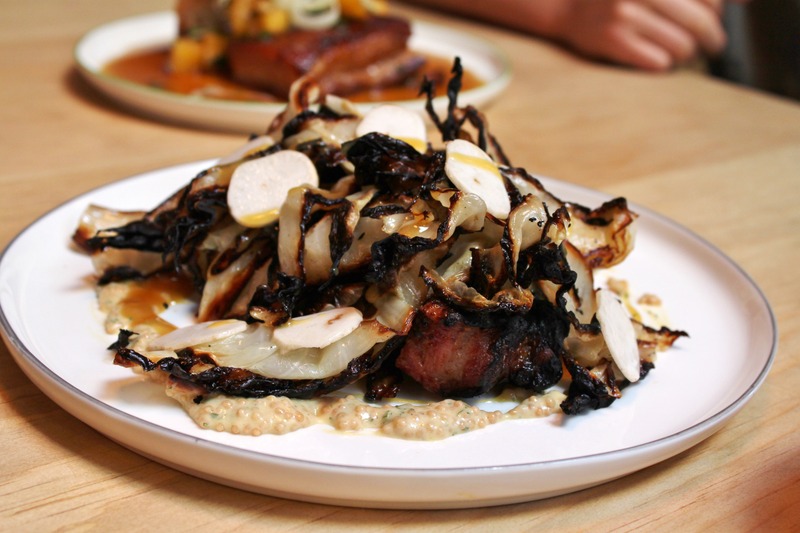 Kid number one chose this odd duck dish: Country pork steak, charred cabbage, miso honey mustard, Tokyo turnips. He said it was the best pork chop he’s ever had even though the rest of it was a bit strange. So after all those mind blowing dishes did we have room for dessert? Of course! Since I had been keeping an eye on the kitchen all night I had seen more than a few of these Baked Hawaii plates go out. 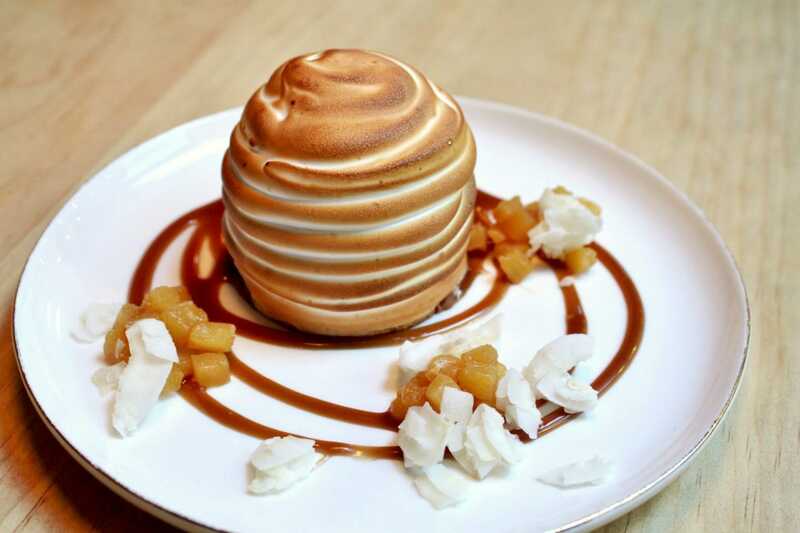 I have really never ever tasted anything like it; Caramelized pineapple ice cream, vanilla chiffon base, torched meringue, caramelized pineapple and coconut, with a coconut caramel drizzle. 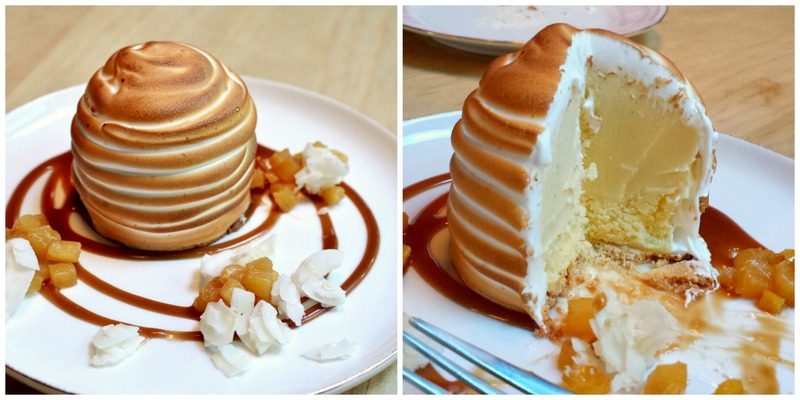 I would go back to San Francisco just for this dessert. 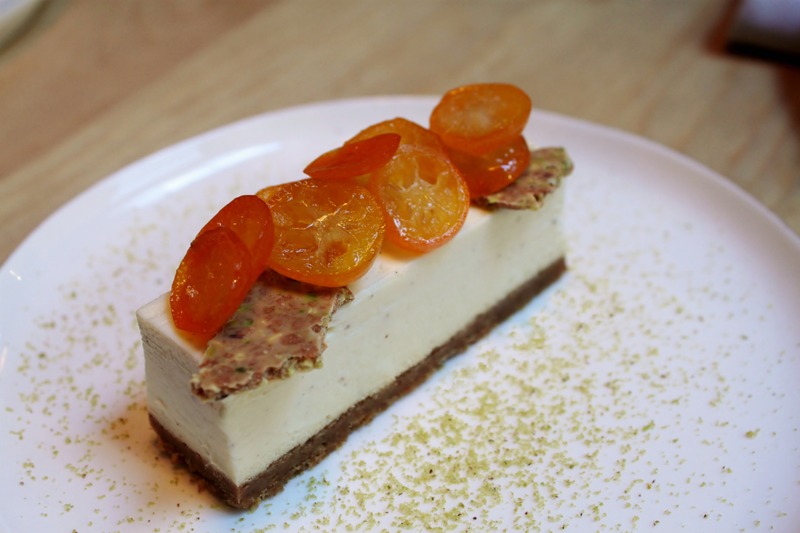 Hubby tried this Bruléed cardamom cheesecake, pistachio crisp, and candied kumquats and was quite happy with it as well. I think I just figured out why this place was so busy the previous (and every) night. 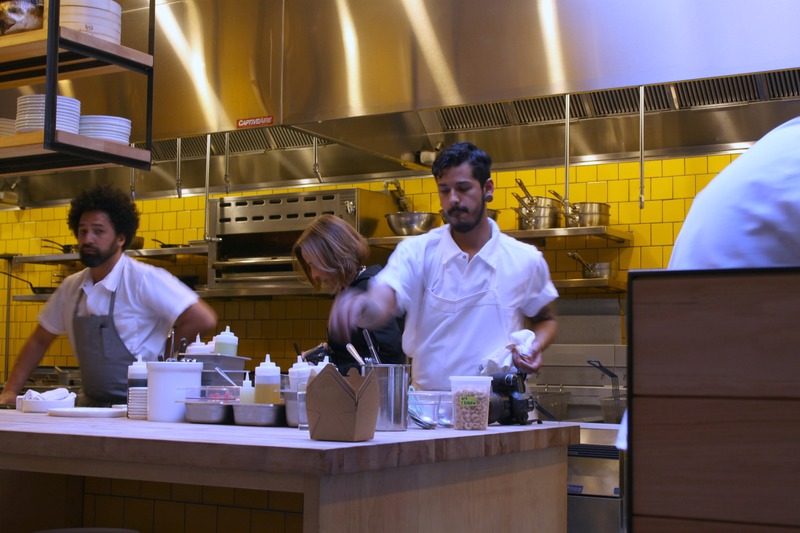 I did some digging around and it seems that local SF food critic, Bauer Christens, had given Liholiho Yacht Club a three star review only two nights earlier. great timing with this post! We are heading to SF from Sydney later this year and I have been trying to whittle down my ‘must eat’ list. This is the 2nd time in 24 hrs I have heard amazing things abt this not-really-a-yacht-club so I am def going to make a booking. Thanks! no it’s not really a yacht club LOL. central city but wow! so good! You must eat here for sure. check out my other two posts for other ideas and I have a final installment coming too. 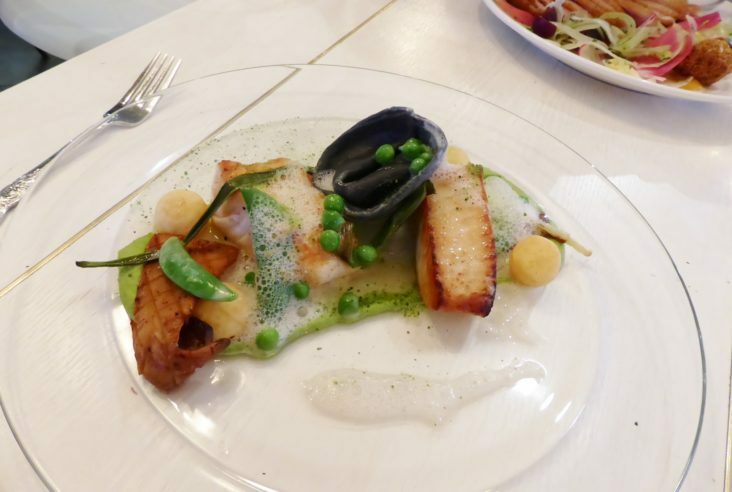 Very unique dishes for sure! That twice cooked pork belly was so good!